The fine craft ligature artworks reproduced in anastatic Edition are from the Culinary Library of Academia Barilla in Parma. 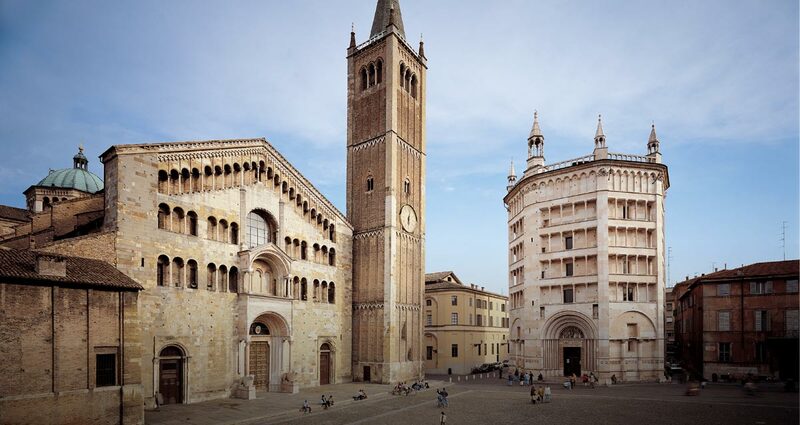 Parma, in the heart of the Food Valley, boasts an ancient tradition in the agriculture food production of quality and some of the most famous typical and also severals worldwide appreciated products – Parmigiano-Reggiano cheese, Parma Ham, Culatello, charcuterie, pasta, canned vegetables. 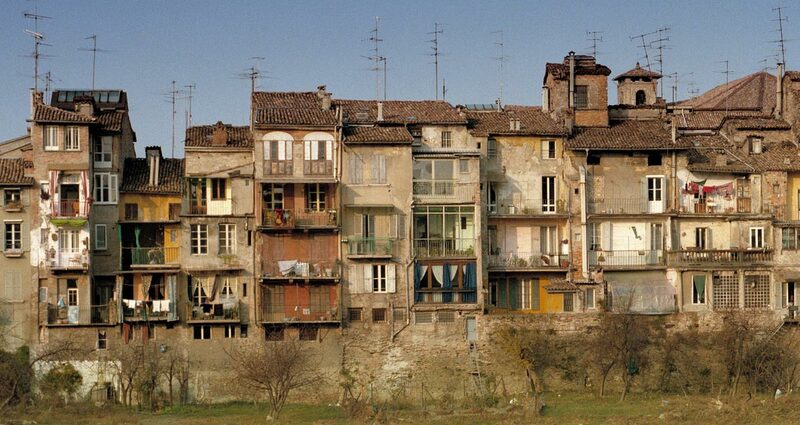 Parma is recognized everywhere as one of the capitals of cuisine. 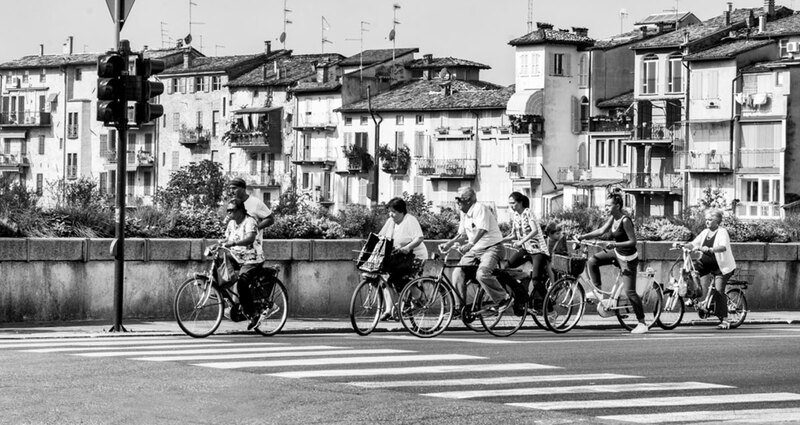 The area where once Barilla plant was situated is now occupied by the new establishment Barilla Center, designed by the architect Renzo Piano. 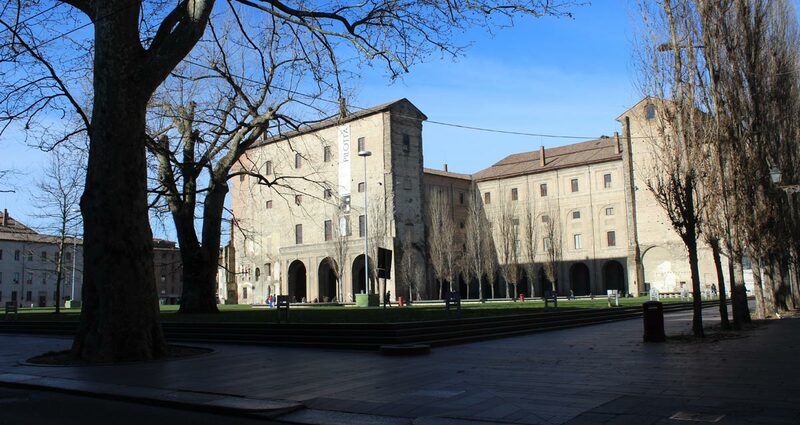 The Barilla Center hosts the extremely modern structure of Academia Barilla, the international centre dedicated to the diffusion of Italian gastronomy. 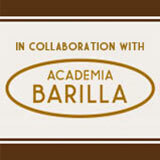 Academia Barilla, founded in 2004, offers training, services and quality products as support of Italian gastronomy. 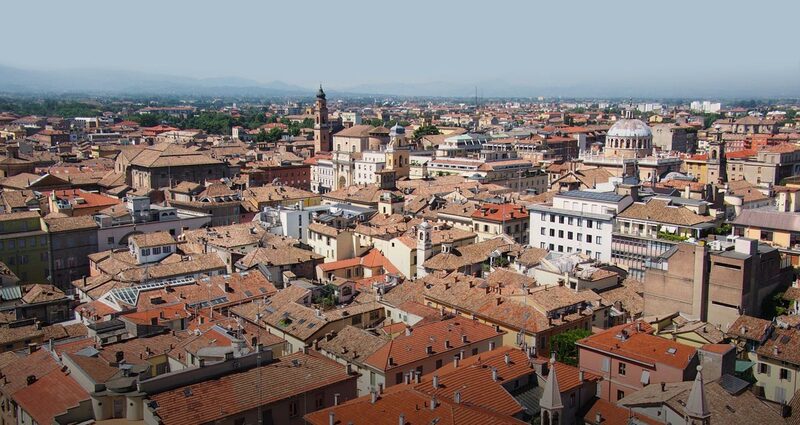 It’s a place where the world of professionalism and cooking unique skills can meet the Italian food culture lovers. Academia Barilla was founded with the aim to defend and protect the Italian gastronomic heritage from imitations and counterfeits, to promote the dissemination of high-quality products, the result of ancient knowledge and skills, and to enhance, through significant investment and creation of dedicated services, the role of Italian catering the world. The headquarters of Academia has been specifically designed to meet the needs of training on nutrition. It gathers, around a spectacular gastronomic auditorium, a multi-sensory laboratory, severals classrooms for teaching and practical training, which are equipped with the latest technology, an in-house restaurant, the richt Culinary Library with an heritage of over 13,000 volumes and collections of historic menus and gastronomic prints. In the same place preservation of tradition blends with modern innovation. Thanks to this structure, Academia Barilla is able to accommodate a wide range of training courses, organized both for variety of topics than for skill levels: at the same time you can find answer to the needs of catering professionals than to the cooking enthusiasts. A team of renowned chefs and of international level visiting chefs constitute the lecturers staff of Academia Barilla, able to offer unique opportunities and experiences: from custom guide to quick courses, from themed meetings to lectio magistralis, personalities such as Ettore Bocchia, Moreno Cedroni, Scott Conant, Carlo Cracco, Alfonso Iaccarino, Giada De Laurentiis,Valentino Mac, Iginio MassariGiancarlo Perbellini, Andrea Zanini and many more who qualify with their experience every appointment. Alongside teaching, Academia Barilla stands also as significant reference in the world of business services byoffering opportunities to perform, in its own structure, press conferences and product presentations, incentive programs, meetings and conventions, seminars and congresses, culinary training courses, team building, all with high standards of quality and image. Academia Barilla is also the ideal starting point for gourmet tours in the Valley of food: a customizable experience both in content and in duration, to know a territory rich in enogastronomic traditions, among unforgettable landscapes and appointments of high-level cuisine, from traditional vinegar producers where the Modena or Reggio balsamic nectar matures, to the places of production of high-quality local products, from wine and charcuteries cellars to the Food Museums, that tell the history and the food traditions, from the dinners in castles and historic houses of great charm enriched by concerts and musical events, to shopping in Italian fashion and design stores and moments of relax at spas and wellness centres. Academia Barilla signs and distributes a range of italian specialties of high quality standards, produced by small artisanal italian companies and selected by prestigious chefs and experienced restaurateurs: cheeses (Parmigiano-Reggiano, Pecorino toscano PDO Pecorino sardo gran cru, and fresh Pecorino), Parma Ham, PDO extra virgin olive of various italian regions, traditional Modena balsamic vinegar, compotes (Chianti jelly, senapata figs, pears and balsamic vinegar) and Sicilian sea salt flavored with olives or with fresh orange peels. 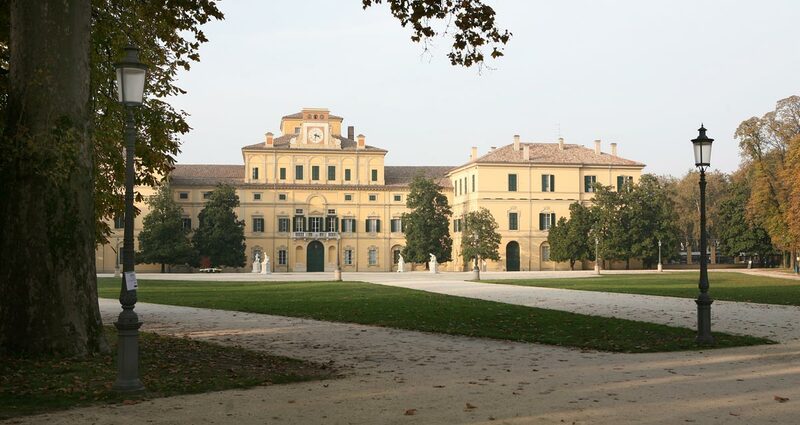 Academia Barilla also organises cultural events and initiatives of valorisation of the gastronomic science which are opened to the general public, with the participation of experts, chefs and gourmets, critics . 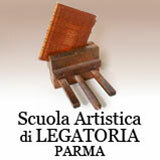 It promotes the Movie Prize for short Film dedicated to Italian food tradition, it offers on the internet site www.academiabarilla.it its cultural heritage, the search on line of the Gastronomy Library, the scientific cataloguing of the collection of prints,menus and hundreds of digitized historical texts, readable ont the Web. That’s the reason because Academia Barilla was honored in 2007 of the "Enterprise-Culture Prize" for the promotion of the culture of gastronomy and italian Creativity in the world.